Soul Pursuits invites learning the language of Soul and living the alchemy of healing--able to embrace life more vibrantly. This work supports clients as they create a more conscious container for their life's experiment. Learning deep listening welcomes action, they are beckoned across Soul’s threshold stepping into dialogue with unexpected wisdom. Re-weaving wisdom into life transforms it. Isaiah and his friends offer an experience the invisible as "realer" than real. Their presences welcome hope, joy, and possibilities. Following Soul’s wisdom often leads to surprising choices. Jo client's alchemical transformation changes their mind and ignites their intuition. They begin to heal wounded places, challenge taboos, and practice relying on a whispered guidance. Sometimes slowly, sometimes suddenly, they embrace an entirely new experience. They begin claiming their uniqueness and offer their gifts in the world. Small Talks are presentations introducing Soul's language to the community. Jo's work calls her into the community as a teacher and translator of Soul's language. Small Talks, are designed to stimulate interest and dialogue about Depth Psychology, Dreams, Oracles and other aspects of Soul's language. Jo blends spirituality,depth psychology, ceremony and recovery creating a unique approach. She supports her clients' unique journey. Drawing on more than 4 decades of experience she sees each person's journey as their soul pursuit. This process deepens and enriches her work with individuals, groups and organizations. Her work continues to evolve, as she too follows Soul’s whispers. Her work off the map. Some describe her as a mid-wife, birthing soul into the world one person at a time. Beginning in the 1970′s Human Potential movement, Jo was involved in crisis intervention, therapeutic communities, and developed a family-oriented personal growth center. Her training in humanistic psychology includes gestalt, psychodrama, group dynamics and a myriad of human potential models. Later this was enhanced by addictions training and advanced degrees in psychology. She adds more than 30 years experience in the principles and practices of the Recovery Community including expanding conscious connection with a higher power. 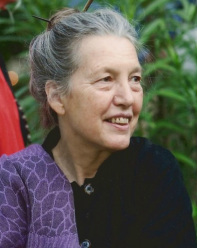 Her work with alternative levels of consciousness also spans more than 30 years, as a healer and channel, as well as 25 years in service to Spirit through ceremony. She began connecting with invisible presences while learning about healing, energy, and other inexplicable mysteries. In the early 1980's Isaiah, a beloved invisible presence, stepped forward. They have been working together since then. When she began studying Jungian inspired depth psychology she was delighted to hear about Jung's invisible inspirations. In 1983, she created of The Healing Alliance. which provided an opportunity to work with a network of local, national, and internationally recognized healers, teachers and alternative health practitioners. Depth Psychology and alchemy, invite Wisdom into life deepening and expanding personal and cultural landscapes. These rich, complex traditions shed a different light on life’s shadowy experiences–her clients and culture’s. Jo's varied background includes working in corporate, private, non-profit and governmental settings. She directed social service agencies and treatment facilities, as well as acting as a consultant. Most often her focus was on various versions of addiction offering intervention and prevention strategies. While completing her M.A. in Human Services and Counseling, she was recognized as the outstanding student of the year. During the same time she provided technical assistance in program design for a 2000 bed innovative, but sadly discontinued, women’s treatment initiative in Texas’ prisons. Her PhD dissertation in Depth Psychology from Pacifica Graduate Institute, used a breakthrough research process, Alchemical Hermeneutics, developed by Robert Romanyshyn. The process weaves knowledge and wisdom, intellect and inspiration, visible and invisible. Guided by The Old Woman, an invisible presence, she followed mysterious pathways on mythic journey of death and rebirth. This work inspired the upcoming book, Grieving with the Unborn, and a new program Wisdom Circles.